It was in that spirit that the Life Education and Resource Center, along with the Center For Bio-ethical Reform, presented the "ALL Black Life Matters" Project on the campus of Fayetteville State College, in Fayetteville, North Carolina. The results were profound and rewarding! Rev Dr. Johnny Hunter, the National Director of LEARN, commented, "These students were engaging respectful and some very challenging but this was a dream come true, I saw so many being enlightened, some weeping and others willfully joining our opening and closing prayers, the dialogue was transforming." 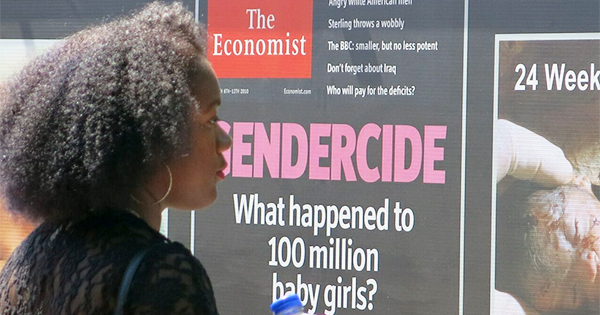 The CBR Genocide Awareness Project, under the vision and direction of Greg Cunningham, constructed the signs to seize this moment in time to reach the African American community with the detrimental results of abortion. "CBR has always been burdened by the fact that the abortion rate in the African American community remains tragically high. Black women account for 36% of all abortions despite constituting only 11% of the female population," said Greg Cunningham. "Black activists also popularized the over-arching term 'Black Lives Matter', but we co-opted that too with the pro-life slogan, 'All Black Lives Matter – Born and Unborn.'" "This was long overdue," stated Rev. Clenard H. Childress Jr, who is the Assistant to the National Director of LEARN. "This is where the problem is and there is so much misinformation in the minds of many of the students. I met a lot of natural leaders here! The conversations and the debate was, well, 'off the chain'. I was even invited by the radio station manager to debate the issue for one hour! Those student are so gifted with so much to offer but still a lot to learn, it was awesome!. The host even allowed me to have 'The Final Say.'" (View GAP Project here). Michael Novak points out in National Review (Notre Dame Disgrace, April 9, 2009), that "Black women make up 11% of the national female population but have more than 36% of all abortions…" He adds that, "…Of the 47 million children aborted since 1973, some 16 million have been black. If those children had been allowed to live, the black population… [in 2009 would have been] about 50% larger than it…[was] about 49 million instead of 33 million." At that rate, by 2014, 18 million black babies had been killed. Planned Parenthood "abortion care" has suppressed the black vote more effectively than poll taxes, literacy tests, voter I.D. requirements and Ku Klux Klan lynching’s combined. Facts like these were on 12'X4' signs heralding the message: "Abortion Suppresses the Black Vote". Samantha Linnemann, CBR Director of Maryland, says she is very determined to support L.E.A.R.N. and their social activism efforts on college campuses, conventions, schools or wherever they decide to go. She stated, "We had a special three days at Fayetteville our team wont forget and nether will Fayetteville State college. I believe they were impressed to see African Americans along with white working together, holding hands and openly praying together to bring them a message to protect them and warn them of the evil of abortion. We had great conversations!" Dave Richardson, a volunteer from New Calvary Baptist Church where the Rev. Childress is the Senior pastor, said, "I wish we could do this full time! Sometimes you feel people know these facts, but then you see how lost they are on this issue. I also have to remember I go to a church where we are taught about what abortion is." (View the All Black Life Matter Project At Fayetteville here). The local Planned Parenthood came out to question why was the display there, and took business cards to determine who was responsible. Planned Parenthood is the leading abortion provider in America. "It is obvious they find the HSBC Fayetteville fertile ground. The school's policy is that they will pay for the first abortion for any female student on campus," says Childress.